There is something different about Salematou Soumah when you first look at her - a silent strength and a certain kind of wisdom seems to radiate from within her. While she is not large in stature, her voice captivates and commands attention and that alone makes her seem larger than life. It is difficult to not find yourself immersed in Salematou’s world as she tells her story of being at the heart of the world’s deadliest Ebola virus not too long ago. She witnessed the deaths of many community members she knew, many with whom she grew up. A 50 year-old widowed housewife and a mother of three, Salematou is considered an elder in Tougande, a small village in the district of Forecariah, Guinea. 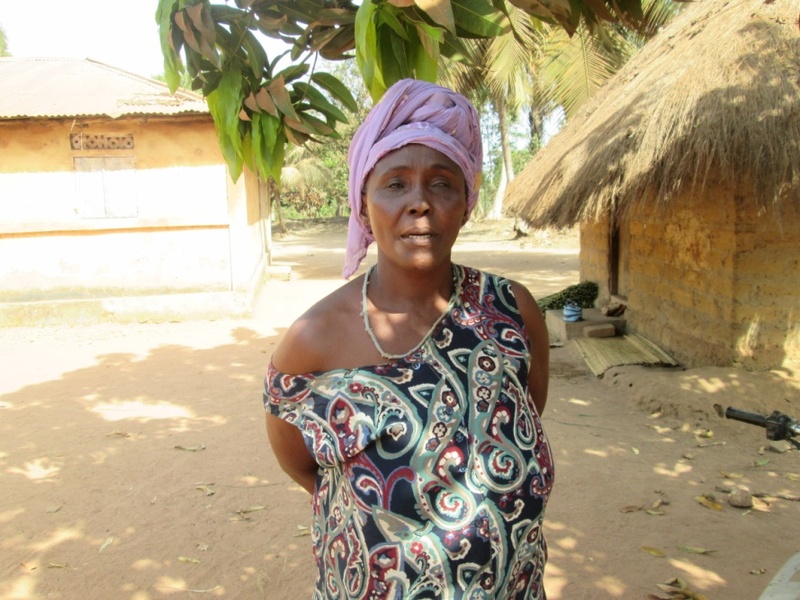 She is also a member of the local women’s community-based organization, and she was once responsible for bathing the deceased bodies of women in her village who had died from Ebola. Social and cultural practices in many parts of West Africa require close contact with the deceased within one day after death, and findings have shown that the Ebola virus is most contagious when an Ebola-infected person dies. The biggest challenge in containing and preventing the spread of Ebola, however, has been the lack of awareness. Lack of education on disease contraction and prevention often comes with living in an isolated community like Tougande. Often, local health facilities are understaffed and undersupplied, and a community member-turned-frontline health worker like Salematou can be the difference between life and death. Since October 2014, Amref Health Africa has worked in communities throughout West Africa to tackle gaps in treatment, training, and prevention, with a direct focus on strengthening the capacity of frontline health workers to foster behavioral change and stop the spread of rumors within the community. Salematou clasps her hands together as she speaks - her aging hands have raised children of her own, and unfortunately also have bathed countless victims of the disease. She says her life has changed drastically since the day Amref Health Africa visited the community. She is a true agent of change. Instead of washing the deceased bodies of Ebola victims, she now serves as an educator herself and informs people about disease prevention, hygiene and sanitation, acting on the frontlines when monitoring and referring those who are ill to the nearest local health facility. To date, Amref Health Africa has reached 226,687 people through door-to-door outreach, educational talks, roundtable discussions, and strengthening existing health facilities in Guinea. Unfortunately, a global health workforce shortage continues to exist today – over 400 million people lack access to all the essential health services health workers provide, and as a result, millions die or are disabled every year. More people like Salematou are needed to be educated, effectively trained, and empowered to be ambassadors of change to promote good health and infectious disease prevention within their own communities. U.S. political leadershipsupporting frontline health workers around the world, has been key to the progress made in the past two decades in global health. This leadership is vital to ensuring communities have access to the education and training organizations like Amref Health Africa can provide to frontline health workers and community agents of change like Salematou.